Washington Japanese Heritage Center (Keisho) is hosting an open house for families of students interested in learning Japanese language and culture. The Washington Japanese Heritage Center ("Keisho Center"), opened in April 2004, is a place for children and families residing in the Washington D.C. metropolitan area to learn and explore their Japanese linguistic and cultural heritages. 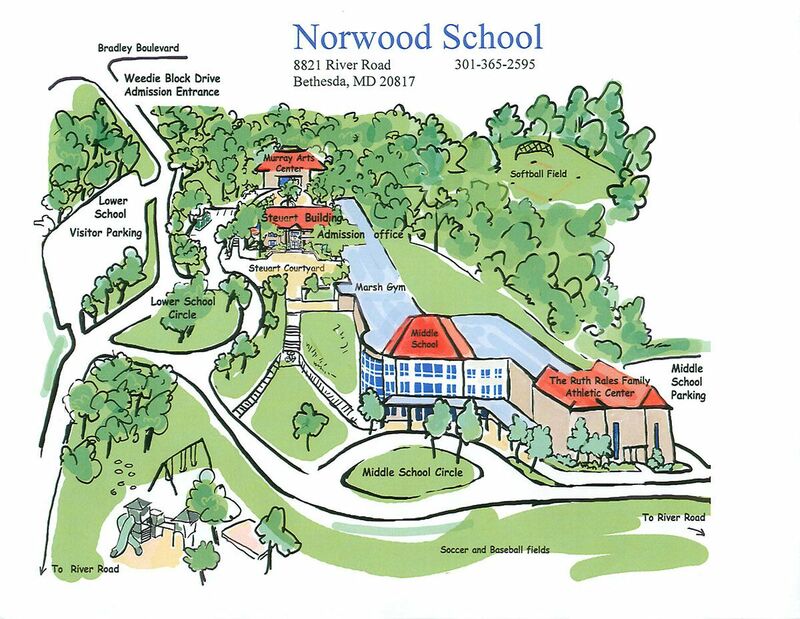 We are located at the beautiful Norwood School just off I-495 in Bethesda, MD. An environment tailored to the needs of each child so as to develop a life-long interest in Japanese culture while maintaining and expanding their Japanese language skills. A student-centered curriculum based on Progressive Education theory to increase the children's knowledge of Japanese culture as well as maintain and develop their skills in the language. An opportunity to study in an atmosphere that respects each child as an individual, building their self-esteem and social skills so that each child can become a contributing member of the communities. For those families who plan to live outside Japan, there are few opportunities to use Japanese on a daily basis. While traditional methods of studying of Japanese often lead to frustration, Keisho Center goal is to develop a desire in each child to continue learning throughout his or her life. Come join us! Some of our students have Japanese family members. Others have lived in Japan and want to continue learning Japanese. We do our best to welcome everyone. Students should be motivated to come to Keisho and learn, have some Japanese language ability, be able to understand and follow basic age-appropriate instructions in Japanese, and have a home environment that supports their Japanese language studies. Keisho Center provides a natural learning environment where children develop their knowledge about current and traditional Japanese culture, Japanese history, and Japanese language skills. Our children build their self-esteem, self-confidence, and the social skills needed to support their lives in both Japanese and American communities. Keisho Center offers a developmentally appropriate approach where each child can learn at his/her own pace. We recognize that each child has a unique learning style and particular strengths and weaknesses. It is very important for our children to realize that they can learn by themselves and that learning is a joy. Our children develop critical thinking skills which they apply to academic and social problems in both Japanese and American cultural contexts. Keisho Center recognizes that our multicultural children are in a unique, fortunate, and sometimes difficult situation of living in two worlds, Japanese and American. Our program views and helps develop the whole child, supporting and validating their cognitive, social, emotional and artistic development. Communication: Language is always a tool for communication, which can take place face-to-face, in writing, and/or reading. At the Japanese Heritage Center, children have a variety of opportunities to communicate with their peers in many different ways. Culture: Exposure to another language leads to new knowledge and understanding of the culture that uses that language, in this case, Japanese. Connection: Learning another language provides a connection to a whole new set of knowledge and a different perspective on the world. Comparing: Encountering another culture provides language learners with a basis for comparison and evaluation. By comparing Japanese and American cultures and languages, children expand and enrich their own personal culture, knowledge, and experience, as well as their views of the world. Communities: Learning another language also gives children an opportunity to be able to participate in multilingual communities both at home and around world in many different ways. Learning a language and culture in this environment fosters the development of an open mind, insightful viewpoints, and acceptance of others. At Keisho Center, the Japanese language is taught as a part of an integrated curriculum, not in isolation. Children use the language as a tool for listening, speaking, reading and writing, while working on individual and small group projects. While a variety of instructional strategies are used, the primary model is a hands-on approach with cooperative groups. Teaching and learning occur in a child-centered, open-ended environment. Each child finds his/her own learning style and life-long interest in Japanese culture and language while maintaining and expanding their current language skills in both Japanese and English. Peer teaching in cooperative, multi-age groups helps guide the children toward becoming independent, self-directed learners. Our classroom style gives children a sense of community, helping children develop many friendships at the Japanese Heritage Center while they work together to learn and discover something new - learning which may not be available from a book. At Keisho Center, children develop a sense of responsibility, self-respect and pride in the fact they belong to both Japanese and American communities by acquiring the cultures of their heritage in an enjoyable learning environment. B.A. in Psychology, University of Texas at Austin. Served as a board member of Brooklyn Japanese American Family Association. Worked at Prime Service department of Nomura Securities Int'l. B.B.A Finance and International Business, James Madison University, Certified Public Accountant. Certified Yoga Teacher for 3 Years. Former JMSDF (Japan Maritime Self-Defense Force) Avionics Technician; studied Early Childhood Education at University of Maryland; former owner of Family Child Care Center in MD. B.A. in English, Kumamoto Gakuen University. Certificate in Advanced Japanese Language Teaching. Worked as a Japanese as a second language teacher and teacher trainer in Australia and in Japan. ATCL Singing Performing Arts Diploma from Trinity College, London; BA in English and American Literature, Shoin Women's University; Montessori Teacher Course Certificate. B.S. in Forestry, Department of Agriculture, Shinshu University; Licensed in preschool education. Ph.D. candidate at Fukuoka University Graduate School (ABD) in English linguistics and English and American literature. President at M&K Communication, Inc., Certified high school teacher in Japan, Adjunct Professor at University of Maryland Baltimore County. B.A. in Piano and Education, Senzoku Gakuen College of Music. Music teacher for Yokohama City Public Junior High Schools; Private Piano Teacher over 20 years' experience; Certified Calligraphist and Teacher of Calligraphy for Georgia Japanese Language School. M.A. in International Communication, Aoyama Gakuin University. JEES-certified Japanese language teacher; teaching experience at the university-level, U.S. Department of State, and in the private sector managing language services for corporate and government clients. B.S. in Economics, University of Oregon. Teacher at Tutoring Center (5th - 9th grade), English school (Kindergarten - Adult ) and at a career college. M.S. in Legal Translation; B.A. in English Literature. Public junior high school English teacher in Japan; Japanese teacher at a private language school in Rio de Janeiro, Brazil. Saturdays 9:00 a.m. - 12:30 p.m.
Keisho Center's policies and procedures are listed below. Use the links to find out about specific policies. The Keisho Family Account is available for families registered with the Keisho Center. Login required.